The start of autumn has seen the fishing change and the snapper getting bigger again. North of the harbour along the beaches, there's always a good feed of pannies to be had around 25 to 30 meters. 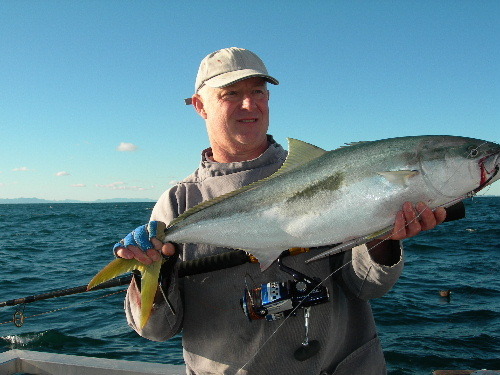 Most baits are fishing well here with fresh kahawai being most destroyed. 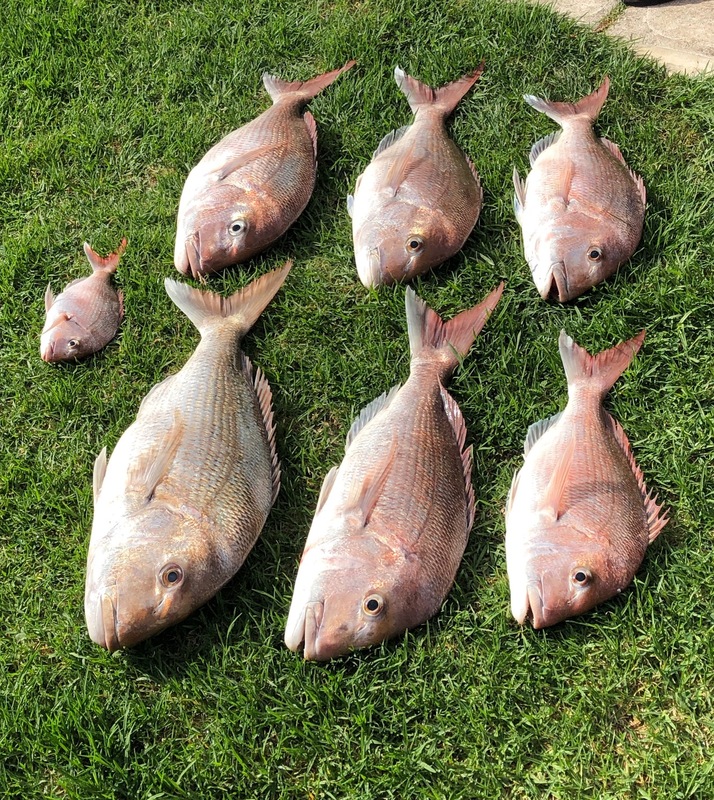 South around the mountain in similar depths has also proved good for snapper with a few good sized fish caught. Bottom fishing has seen baby bronzes and lemon sharks as a by-catch with the bigger blue sharks not turning up too which is a welcome relief on the gear front. 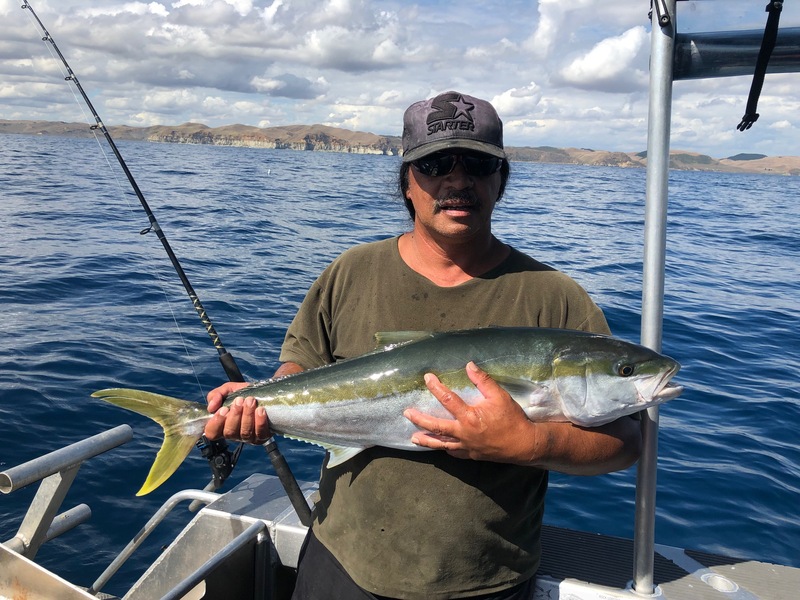 Gurnard can still be caught in the right areas and occasionally should the hungry snapper and larger kahawai give them a chance to bite. Tuna and mahimahi have been in closer too turning up in the blue water from 40 meters out to 70 currently. Good stripe marlin are also in chasing the bait at these depths with live baiting around bait fish schools proving very productive.